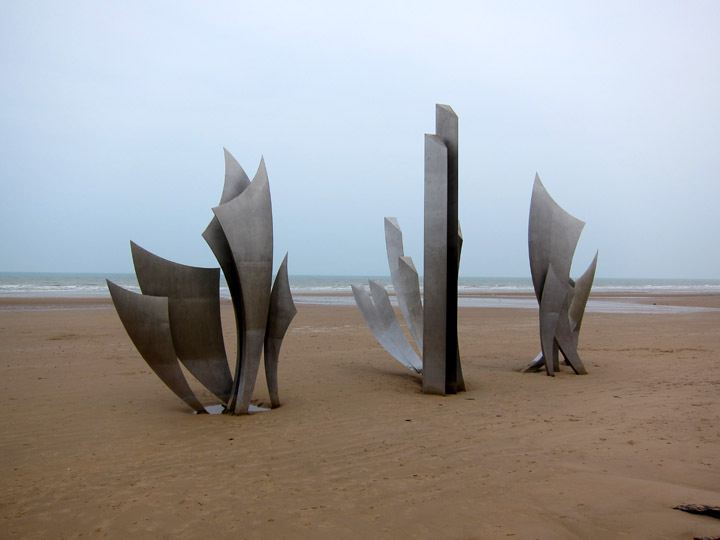 My first impression of Omaha Beach in Normandy was of summer fun. Alongside the massive stretch of sand, there was a boardwalk dotted with summer beach rentals, ice cream stands and the occasional creperie. The laughter of a visiting group of British school children added to the ambiance of carefree days. But anyone who has studied the D-Day landings of June 6, 1944 knows that Omaha was the bloodiest of battlefields of D-Day with some units in the first wave suffering up to a 92% casualty rate. How do we memorialize the 4,000 who died in a few hours? Today a bold, modern memorial stands out along the relaxing beach and marks the critical military objective that the American soldiers sacrificed so dearly to achieve. Rouen, France has a beautiful medieval core with wood and plaster buildings slumped and crooked from centuries of settling. 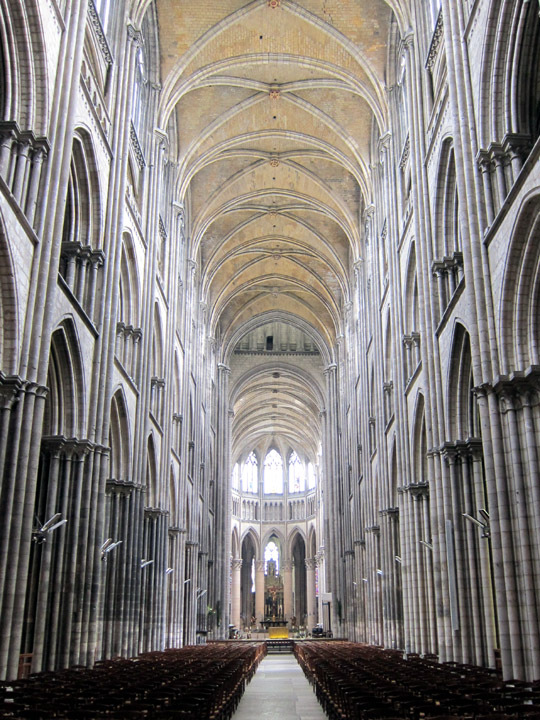 There are several beautiful medieval churches led of course by the grand Gothic Cathedral. 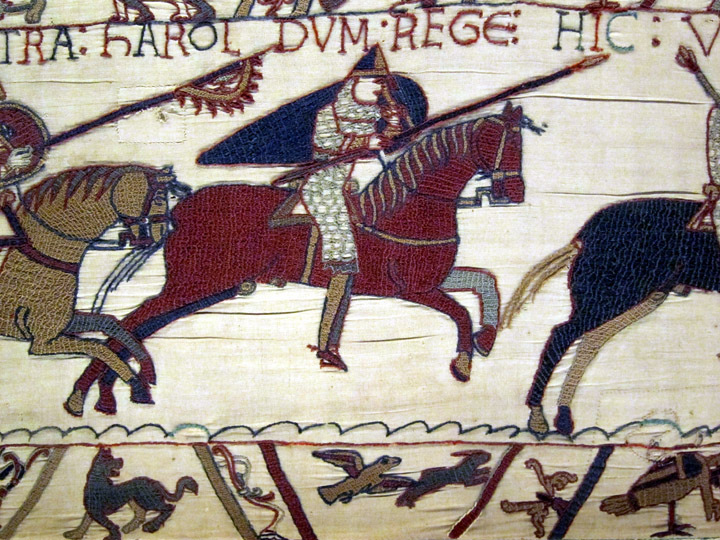 But when it came time to commemorate Rouen’s most famous Saint, Joan of Arc, the city erected a thoroughly modern church – L’église sainte Jeanne d’Arc. 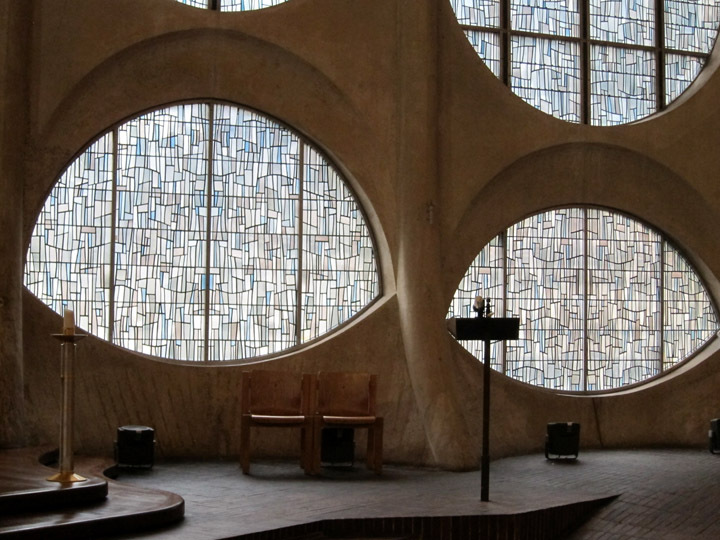 These oval-shaped, fragmented glass white windows circle the altar at the Church of St. Joan of Arc.